The birthplace of cocktail has sparked rigorous debate amongst enthusiasts and historians. Moreover, variations of the Manhattan recipe surged with it's popularity. But what else do you know about our classic cocktail? 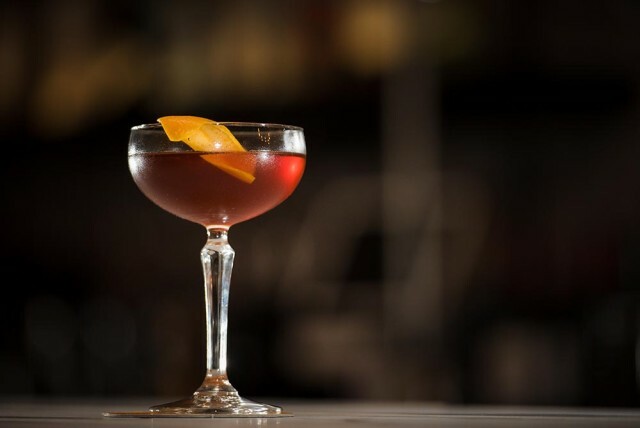 Manhattans have been around since the Vancouver cocktail scene gained momentum back in the 2010 Winter Olympics. Most Vancouverites would be surprised to know that the cocktail has ties to Canadian history during the Prohibition. The blend gained traction in the New York core and Brooklyn areas early in the 19th century but was later suppressed after America's nationwide ban of alcoholic beverages. In the underground bars, patrons found that American-based Rye was expensive, if not impossible to get their hands on. So mixologists opted for available Canadian Rye that was smuggled over the boarder. Nearly half a century later, it is not unusual to find Canadian Ryes blended into Manhattans in both countries. The actual birthplace of the Manhattan still remains hazy at best. Miraculous stories of English genius and mysterious bartenders cloud where the actual ingredients were first combined. What is known, is the Manhattan Social Club's influence in popularizing the cocktail during the turbulent years of the American prohibition. Later, the club helped heighten the Manhattan's reputation and legacy when Prohibition was repealed. Cocktails that involve clear liquid should always be stirred, not shaken. Rebelling against Mr. Bond, shaking your cocktail actually dilutes the flavors and ingredients put into the drink. Stirring maximizes chill while avoiding watering down the elements. Usually, the longer your bartender shakes or stirs, the weaker the original flavors. A properly crafted Manhattan is a complete balance of the ingredients that also include the bitters! A Manhattan is guaranteed to show class, elegance and style to impress visitors, business partners or that special someone this new year. The cocktail has inspired an abundance of variations that our mixologists would love to design for your pleasure.